Whether you have hunted with an outfitter before or are considering doing so in the future, here is a list of a few things you, the client, should think about before going. I believe the most important tip I can give you is to always be prepared when booking a hunt with an outfitter, especially if it will be in a different state. With that being said, communication with your outfitter and guide is the key to getting the most out of your hunt. Know what your outfitter will provide based on the type of hunt you booked (i.e. lodging, meals, blinds, stands, fully-guided vs. semi-guided, etc.) Call your outfitter to see if they have any recommendations for what you’ll need to bring. On top of bringing the necessary tools to take your game, make sure that your equipment is dialed in. Do this before you leave and again once you arrive just in case something changed while traveling. You expect your guide to give you his or her best work so it’s only fair for you to do the same. Know the type of terrain you’ll be hunting so that you can be prepared physically and mentally. If you don’t know this already you can find this out by a quick internet search. Deer and turkey habits will vary state to state so what you are used to back home may not be what you’ll experience on this hunt. Remember your guide does this every day for a living in that particular area so they know what they’re doing. Trust their instincts with blind/decoy setup and take their advice on how to hunt that animal. A good example is turkey hunting: If your guide says they don’t do “run and gun” type hunting that usually means their hunters are more successful with the blind setups and the client being patient. Listen to that advice or else you’ll probably end up with an unsuccessful hunt. Remember that outfitters and guides can only do so much when it comes to animals and their behavior. If your guide did their job, you have listened to their advice and continued to take it then try not to put all the blame on the guide. Animals can be very tricky and can change their behaviors in a second. If you have physical limitations that require a different type of setup, make sure to tell your guide before you arrive so they can plan extra time for setup or can get extra help if needed. If you have a specific goal in mind, and it can work with your hunt, make sure to tell your guide so you can get the best overall hunt. Whether it be a trophy to take home, to be able to witness beautiful scenery, anything legal or you’re just looking for a relaxing trip, communicating this to your guide will make your hunting experience better. Remember to be open minded, sometimes trophies aren’t always available, spot and stalks aren’t recommended for certain animals or areas and sometimes the animals just don’t want to cooperate. Gun etiquette. This may seem like common sense but you’d be surprised how often people forget the direction their gun barrel is aiming. 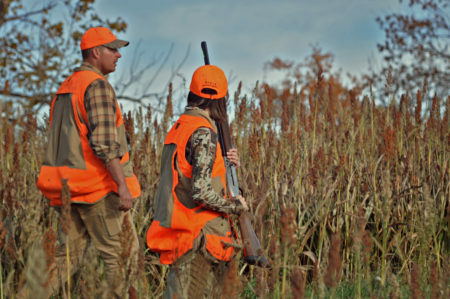 Not only is bad gun etiquette dangerous, it’s very inconsiderate to your fellow hunters. Whether the gun is loaded or not, always treat it as if it were. This could save a life and also help ease a little tension on the hunt. If you’re able, asking your guide if they need help with decoy setup is very considerate. Most would love to have an extra hand to help set everything out as long as it follows the particular setup they have in mind. Most outfitters include cost to cover the cleaning of the animals but it’s always a good question to ask. If the outfitter takes care of this offering to help hold legs, head or wings back for them is always very much appreciated. Calling can be different depending on the type of hunt you’re going on and the outfitter. If the outfitter covers the calling but that is something you look forward to then make sure to let them know. A good guide will know when the clients’ calling won’t hurt the hunt. After you’ve taken your animal it’s time to get the perfect photo. Your guide will know how to get that beautiful photo of your harvest but if you have a particular pose or tradition in mind just let them know. Camp managers are used to cooking for a lot of people so usually that comes with a large mess. Just because you are away from home doesn’t mean it’s okay to leave more of a mess than necessary. Be considerate and try and pick up after yourself to show your respect for the outfitter and yourself. If you’d like to offer more than that I’m sure they would greatly appreciate it. They usually have the cooking part down but offering to help with dishes or setting the table can be a big help. Make sure to let them know ahead of time if you have any special dietary needs or allergies as this will help them with meal preparation. Although it’s not really talked about tipping is very important to guides and how they make their living. Just like a waitress or any type of service business you deal with, you usually expect to leave a tip if you believe they did a good job. If you believe your guide did a good job then a good base percentage to tip is about ten percent. If you think they did a great job than show it with a great tip. Don’t forget your camp manager when it comes to tipping. If you believe they have done a good job then show them with a tip as well. Camp managers usually don’t get paid anything near what your guide does and they are usually up and working the same times. Overall, be prepared by asking questions, being considerate and remembering to tip. This will make your hunt go smoother and all the more enjoyable. Courtney is an avid hunter from Louisiana. She has a passion all things outdoors and is an avid hunter. 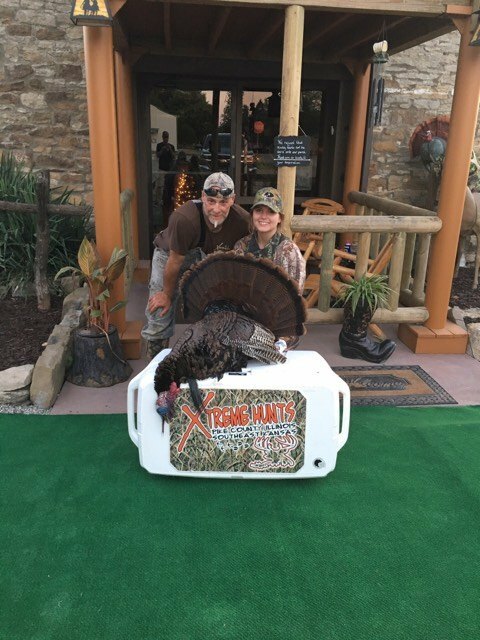 She is also a team member of Huntress View, an organization formed to help strengthen the ever growing community of women hunters.